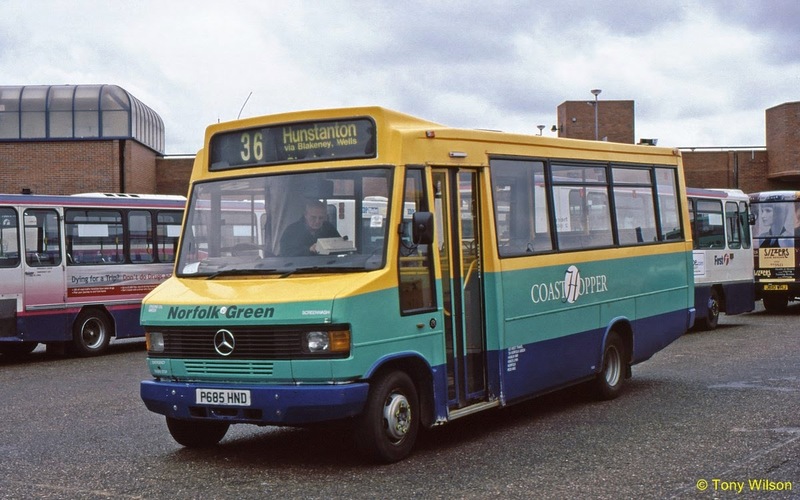 In contrast to the recent article as regards bendibuses in Nottingham, a significantly different type of bus operation is reprieved over in Norfolk. 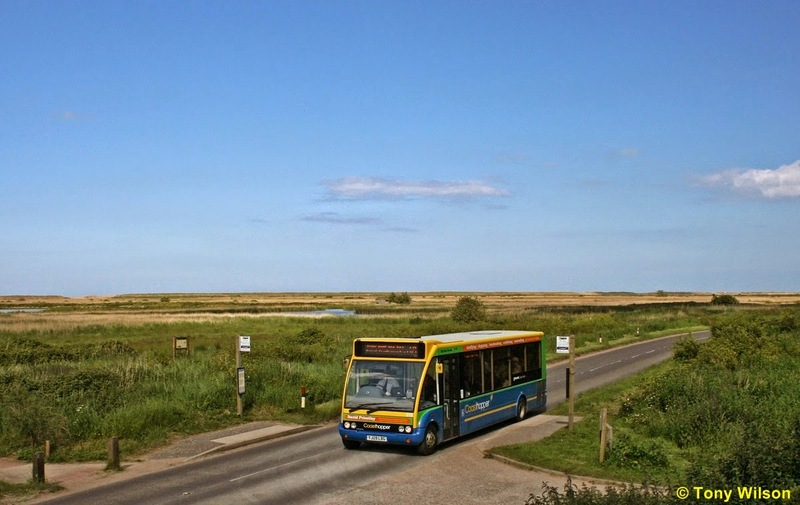 The Coasthopper service was introduced by Norfolk Green back in 1996 and over the years has become very much part of the local scene and serving the communities along the North Norfolk coastline. It operates hourly in three main distinctive parts CH1 King's Lynn to Hunstanton, CH2 Hunstanton to Wells and CH3 Wells to Cromer. There is also a minimal service via Aylsham to Norwich at certain times. Midibuses have been the mainstay of the service, begun with Mercedes-Benz type in the early days to a fleet of route branded Optare Solos that operate the service today. Recently the company was acquired by Stagecoach but has for the time being retained its own identity, including the Coasthopper branding. 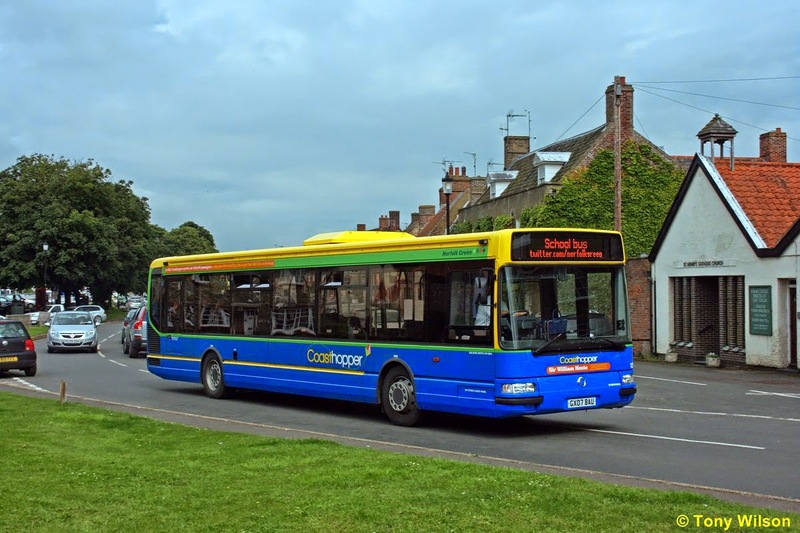 Whilst there was some concern over the route even before the takeover, co-operation between Stagecoach and Norfolk County Council has resulted in financial stability of the service, at least until the autumn of 2015. During the summer the service is operated commercially by the company, which allows the county council leeway to provide support during the quieter months. Early days of the service saw operation by liveried Plaxton bodied Mercedes-Benz 709D, one seen here at King's Lynn bus station back in 1996. A recent image of one of the smart fleet of Optare Solos wearing the dedicated Coasthopper livery. Many of the fleets buses carry names of local celebrities, some from way back in the past to others of recent fame. A mixture of heroes and villains, Thomas William Coke being one of the former. The only clue as to the Stagecoach influence, being the fleet number 47911, as the bus emerges from beneath the railway bridge of the North Norfolk Railway. 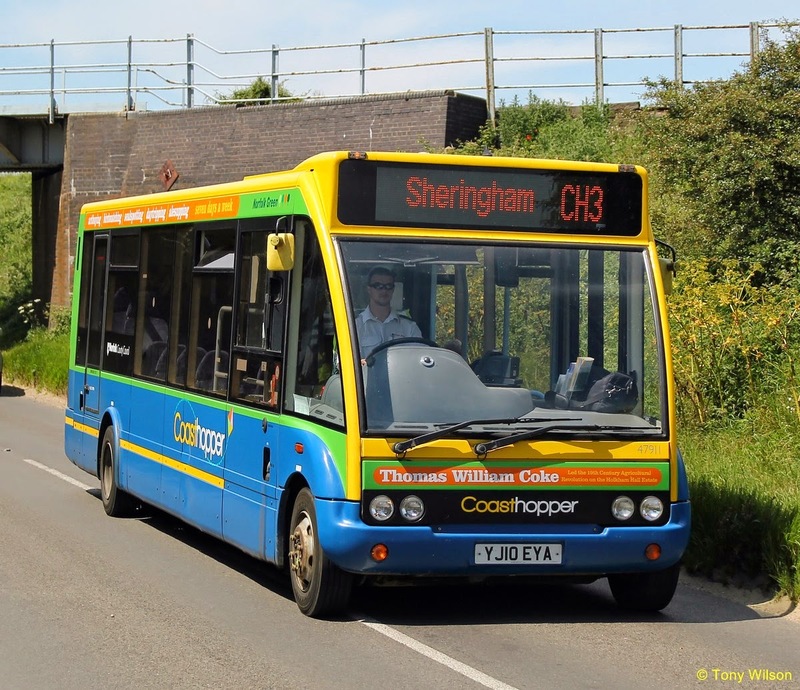 The bus is bound only as far as Sheringham, where during the summer season extra buses provide a half-hourly service between there and Sheringham.